I was recently perusing the archives over at Justin Glawe’s retired Peoria bar blog, Peoria Bar Review and I found an interesting place that I’ve never been to called, The Last Hurrah. It’s a bar in a strip mall that's been there on the north side of town on Knoxville for over 20 years now. The review was written on September 29th, 2009, so I wondered if it was still opened, I called them and they are indeed still open for business. To the MBIP mobile! Check out the full moon hanging in the sky tonight. Count Floyd flashback...awoooo! And we're off in search of The Last Hurrah. The more I think about the name of this bar, the more I'm obsessed with it. It's like, where do you go after that? 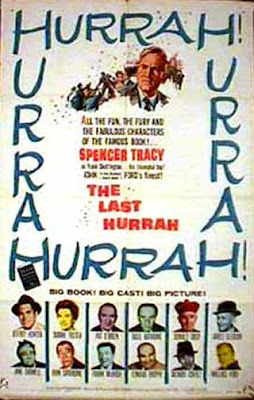 If it truly is, "the last hurrah," what do you do when you're done? Blow your brains out because after you leave, I guess the good times are over? It is the last hurrah, after all. Well, let's go see, it's straight up Knoxville and we'll be there soon. I have the pedal to the metal. There it is, The Last Hurrah. The finality of the name of this place is really getting to me! Let's get in there before it closes and there's no more hurrah's to be had in this town. It's nice in here, it's got a good neighborhood vibe going on. Let's go sit at the far end of the bar. I try to never sit near the doorway, you're too close to possible hobos and wandering yahoos in a doorway seat. Trust me on that. Super-cute bartender, Marie serves up beer number one. Marie's a great and friendly bartender and she's worked here for five years. I asked her about the name of the bar and she said it was already named that when the current owner took it over about 17 years ago. She told me that there's a steady group of regulars, but they happily welcome newcomers like myself. Hurrah! Hopefully that's not the last one, either! Lots of bottles standing attention behind the bar. This gentlemen told me he remembered me and he looked very familiar to me. It turns out his name is Dan and a lot of readers of this blog will remember him from Suburban Liquors! I bought a ton of beer from this guy through the years and I was amazed he remembered me! I told him I started buying beer at Suburban Liquors way back when I was armed with a fake I.D. in the mid '70's. It was great seeing him and we had a nice conversation about the old days and about New York, where he likes to visit. There's just two taps to be had in here, but I think they deserve extra points for the Bud Light golf club tap. We'll see what Spike thinks. Here's tonight's special: $2:50 well drinks and Schnapps. Can't beat that price! A Budweiser car looms overhead. Vroom, vroom! There's a pool table in the back and the bar has its own league, so it gets a lot of use. Holy screaming shitballs, are you seeing what I'm seeing over there in that corner? A Little Nut Hut! I believe this is the fifth one we've found around town. Sometime in the next couple weeks I'll take a tour of every Little Nut Hut around Peoria. So stay tuned for that, the excitement just never ends here at MBIP! Meanwhile, back at the bar, Marie pours a $2.50 well drink for a thirsty customer. Joe came up and introduced himself. He's a regular here and proved Marie's statement correct that the regulars welcome newcomers to the bar. Nice to meet you, Joe! Here's my little area at the bar that I've staked out with all the essentials I need for my MBIP outing: My little notebook, a pen, cards, my flip phone, a beer and most importantly of all, snacks! Marie serves up beer number two with the traditional two finger salute! Cheers! Outside the full moon is still hanging in the sky. Hurrah. See you all tomorrow. Further reading: Bar Finder, Foursquare and facecrack.